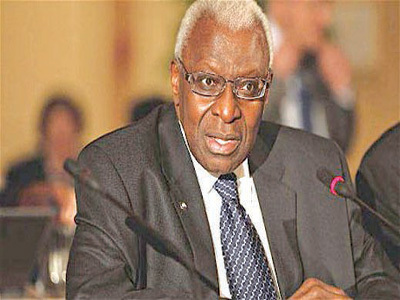 Lamine Diack is the outgoing IAAF president. 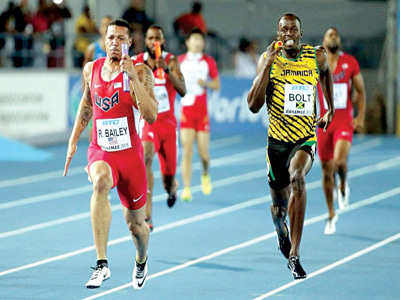 The IAAF under Lamine Diack has become a very lucrative organization for top athletes like Usain Bolt (right). You were not only a long jumper, but also an ardent footballer and later Technical Football Director. I was a skinny kid at 16. I weighed only 44 kilogrammes and you can imagine this was too small for a footballer or even for the field events. At school during the physical education courses, I mainly practiced athletics and combined long jump, high jump, shot put and a sport we had then called climbing, which was an interesting mix of gymnastics. I was good at long jump and high jump but not at shot put or climbing. The sport I enjoyed then was football. I was a good footballer: by the time I was 12, I controlled the midfield. I played football from 1958 to 1962 and scored a lot of goals, and was also a good volleyballer. Yes, my club was Foyer France Sénégal. I played for them, then coached them in 1969 and managed the team from 1964 to 1968. In 1968, I passed the baton to one of my good colleagues, who was then a coach in Guinea. He came here and his profession was to coach as I handled other aspects of the team management. I never attended a coaching course. Just from the time when I played, I was very curious about studying football deeply and trying to understand every aspect of the game. Football is a team game and the main aim is to build a team with good players having good practical skills. I was very successful during those years as a football player and coach. And I think that if I had the necessary support, we would have taken the national team to the World Cup. 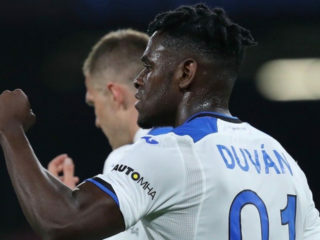 We managed, however, to send some of our players to European clubs. I was the technical director and team manager of the Lions de la Téranga from 1966 to 1969. 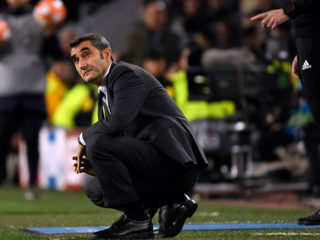 I used to go to my office in the morning and spend my free time from 7.00 pm to 8.00 pm and on weekends to go to the stadium and oversee the team. 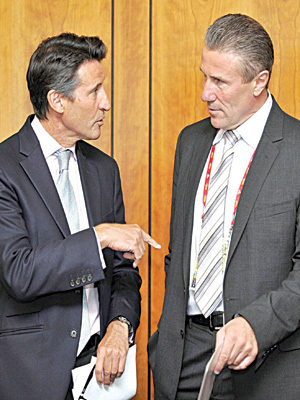 Sebastian Coe (left) and Sergey Bubka are the two candidates fighting to succeed Diack. Senegal liked athletics very much but they were management issues within the local federation. So during the African championships in 1962, the athletes decided to forward a protest, which even reached the then president Senghor. I was running then an athletics club. There was a big fight pitting the athletes against the officials. The athletes who led it were suspended for two years. Nearly at the same time, we were working towards organizing the general assembly and we agreed to lift all the suspensions of the athletes. During the assembly I was formally elected as the General Secretary of the local Athletics federation in September 1963. I had to prepare the first team of Senegalese athletes for the 1964 Olympics in Tokyo. The team had good athletes and good coaches and we prepared for it very well but in April 1964 France proposed scholarships for our team to go and train for six months not so far from Monaco, in Boulouris, to prepare for the Olympics. But the deal was that the athletes would go without their coaches. This for me was a joke! I went to the Ministry for Sport to see the Minister and he tried to persuade me to agree to it. When I was an athlete I always had a coach with me. Why should it be different now I wondered? After meeting the Minister who maintained that the team would travel without coaches, I met my colleagues at the federation and I told them I would step down over this. I resigned and went back to concentrate on football and on my daily job as tax inspector. I served for one year as Secretary General of the Athletics Federation and came back as President in 1974. The same year, I was elected President of Foyer France Senegal which by then had become ASC DIARAAF, which I served for four years (1974-1978) and from 1994 to 2005. How was it balancing your expanding sporting career then and the national and political offices you held. I had been an Inspector of Taxes and State Owned Property for eight years from 1961. At that time I also served as the Technical Director of the Senegal national football team, which meant working as a coach from 5:30 PM until 8 :00 PM, and on weekends. I stopped working as Inspector when I became Commissioner General of Sport, before moving to Secretary of State for Youth and Sport in 1970 and becoming the Secretary of State for Human Promotion. After that I also served as Commissioner at the National Conservatory of Land Ownership. But the highlight of my career was in 1978 when still serving as Commissioner, I became Mayor of Dakar, then Deputy of the National Assembly and subsequently Vice-President of the National Assembly. The last national service I held was as Chairman of the Administration Board of the National Water Company of Senegal for seven years starting in 1995. As I moved into politics I was still active in sports. I was elected President of the African Athletics Amateur Confederation in January 1973 in Lagos, Nigeria, even though then I was mainly in football administration. Soon after I became a member of the Executive Committee of the Supreme Council For Sports In Africa while being the Minister of Sports of Senegal. In fact, I became member of a number of executive boards going from the Supreme Council to the Confederation of African Sports. In 1985 I became President of the National Olympic and Sport Committee of Senegal. In 1993 we had elections and they (it was never known who did it) burnt down my house after the elections. I believe they were members of my party, the Socialist party. My family was there and they escaped through the ventilation spaces and the windows. Luckily no one was injured. Then I said to myself : ‘You are now 60, it’s time to quit politics.’ I had also lost in the party elections so it was time to leave. The first IAAF (then International Amateur Athletics Federation) congress I attended was in Rome in 1974, and I remember then it was difficult to talk, to be heard. I was sitting with the national Senegalese delegation because the congress then didn’t recognise the African Confederation that I headed. But later Montreal was important as this is where I was voted in and some key changes were made to the composition of our membership. I was the vice-president who recorded the highest votes of 300 whilst the second got 270 votes. What this showed was that all the countries in the congress voted for me and I became senior vice-president in 1995. South Africa was barred in Montreal and two years later China was included as an independent affiliate association of the IAAF in 1978. We created the World Cup in 1977 in Düsseldorf and independently organised competitions as IAAF. Before 1977, we had only one competition before the Olympics that was the World Championships, besides race walking and cross-country. In 1982, we changed our rules and changed our association to allow athletes to get earnings from their international races and events. 1984 was the year when we started the Marketing programme after the signing of the IAAF/ISL agreement in 1983. In Africa we always had consensus. During my tenure we never had elections and I always tried to make sure all the athletics nations were represented in the AAAC Committee. But as I prepared to hand over Africa, it was clear consensus had failed as we had leaders from West, East and Central Africa wanting to succeed me. After talks that ran deep into the night with each of the aspirants, I decided then that consensus had failed and they insisted we should have to go for a vote. I was clear then that my choice was Malboum Kalkaba because he spoke good English and French and that worked well for Africa. He also came from the Commonwealth and was the president of a National Olympic Committee, so he could be a strong leader; he also had a strong sporting background. But as you know they didn’t accept my suggestion and they insisted on the vote that Kalkaba won finally. It is the same modality I tried to get council members on the IAAF Executive. My appointment in 1999 as IAAF President was by consensus and acclamation of the majority. Taking over from Primo Nebiolo of Italy was a highlight but as I have explained it was a journey that took me round sports administration. And now I know it’s time to hand over the baton. The IAAF presidency will certainly be returning to Europe and for the first time we shall have elections for the post. What do you think of the two candidates, Seb Coe and Sergey Bubka? Well consensus may not work for now as they have both declared their wish to vie for the post… I don’t know. But these two are both my picks. In 2006, I met colleagues of my generation who were on the council and I told them I would leave in 2015 and I thought that we needed a new generation of leaders to take over because most of them were my age mates. I told them that Seb Coe and Sergey Bubka both are great champions and have been in the council long enough and are well versed in the Association as Vice-Presidents. So for now both of them are my picks and I am keenly following their campaigns. If later I have to decide and back one, I will announce my pick on who I think is best of the two and why. There are quite a number. I think it would be good to have one representative from each area, each continent. There is no way, for instance, Africa can have two. Kalkaba and Kiplagat (Isaiah) have to agree. I will try and talk to them but they have to sit down and agree. Kalkaba is already in the council as IAAF representative so maybe he can say: ‘I will support Kiplagat to be the vice-president.’ If they want to be two, only one of them will be elected because the other continents and even Africa will not vote for two Africans. If Kalkaba decides to go ahead and he succeeds for the interest of Africa, it is best that he must find a successor. But anyway this is a problem for Africa to solve. I will only step in if they seek my help. I think I would be proud of the financial situation of the federation because in every situation we cannot achieve everything. During my tenure, the IAAF and its marketing partner, Dentsu, raised over one billion dollars of revenue from TV and sponsors. In 2015, the financial reserves will be $65-67 million. I think it’s a big achievement and all the way I have been very successful. I tried to make athletics universal and now athletics is everywhere. I was interested in bringing the world championships to Africa and although it has never been a priority, we managed to boost the money the continents and the federations receive as support. The IAAF used to have six European one-day meetings with few athletes participating every year. Now we have a league of 14 competition meetings that are spread over three continents. Athletes are also now living and making money from athletics. We also have a robust anti-doping programme. The IAAF has for decades sanctioned athletes for up to four years for doping violations. In 1993 the IAAF suspended John Ngugi for refusing to undergo a doping test. That was 22 years ago! We had our own arbitration panel in place then. And now we have even gone further and created a biological passport programme which tracks an athlete’s blood profile over years to look for signs of doping. This will take years and is also an expensive venture we are putting in place to establish enough evidence that would bar an athlete who is cheating from our sport. I think the Athletics Federation was among the first who were very conscious of having a clean sport soon after we introduced money into the sport. We were the first federation to set up a comprehensive and well-funded Medical and Anti doping programme, alongside clear rules, manuals on doping violations for both in and out of competition testing. In 2014, we had 3,600 tests with 120 positive cases, but nobody makes noise about the 2,900 negative cases. It’s a fight that the Olympic Committee, WADA and governments all have to play a role in; we have to continue the fight against cheating and it’s great that there are now establishments of National Anti Doping organisations in key track and field countries. This is what is needed to help Kenya, Ethiopia set up centers like Jamaica and USA did. I think it is totally ridiculous to say 99 per cent of athletes in Russia are doped. We had the World Championships in 2013 there and the Winter Olympics there last year in Sochi and both times Russian athletes did exceptionally well. So you want to say all these performances were a show? At the recent European Champioships in Prague and the European Team Championships in Cheboksary, Russia dominated the whole of Europe. Do you have any regret or anything you wish you could have done but didn’t do Yes in Africa I was not able to make athletics the number one sport everywhere. Look at athletics in my country and where we are now… very far from what we used to be. We were good high and long jumpers, produced great sprinters, and organized great championships. But the reason for the decline is simply because athletics has disappeared from schools in Dakar, unlike, for instance, the Caribbean islands, which have a robust school athletics programme. • Mitchell Obi is the president of AIPS Africa.